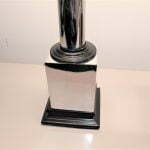 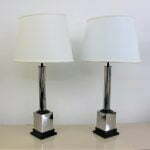 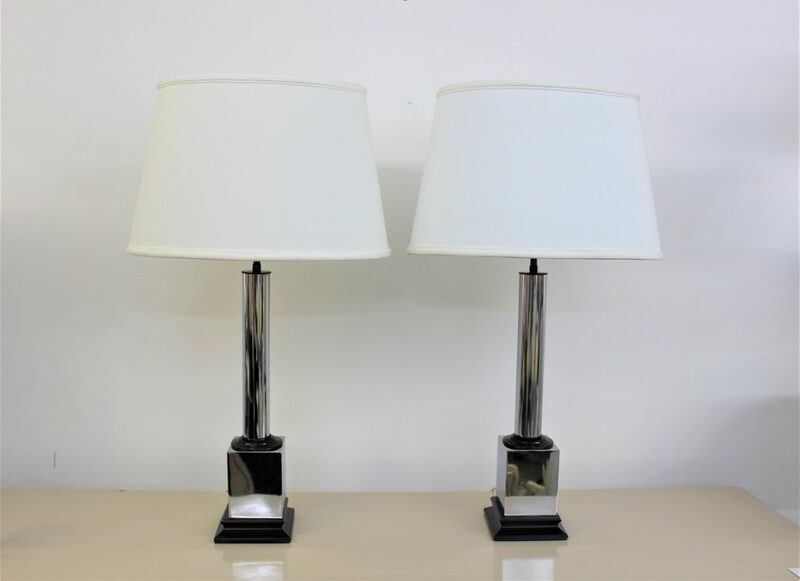 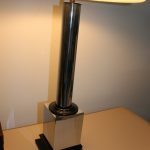 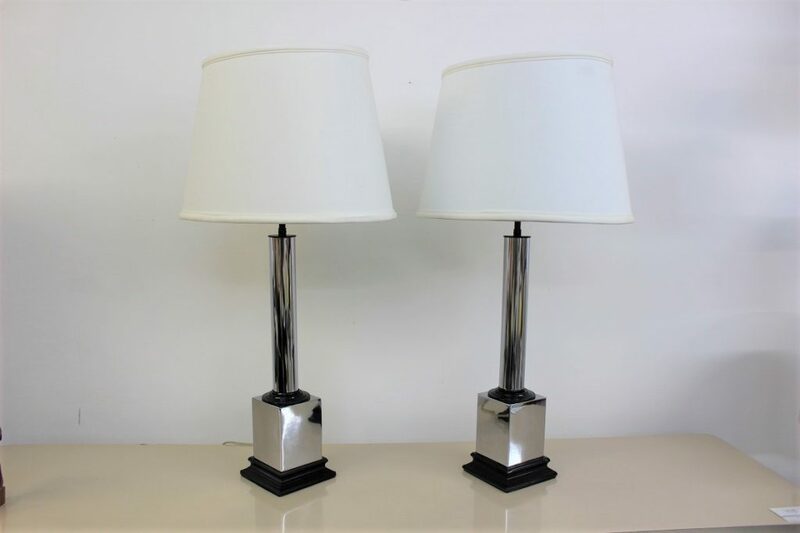 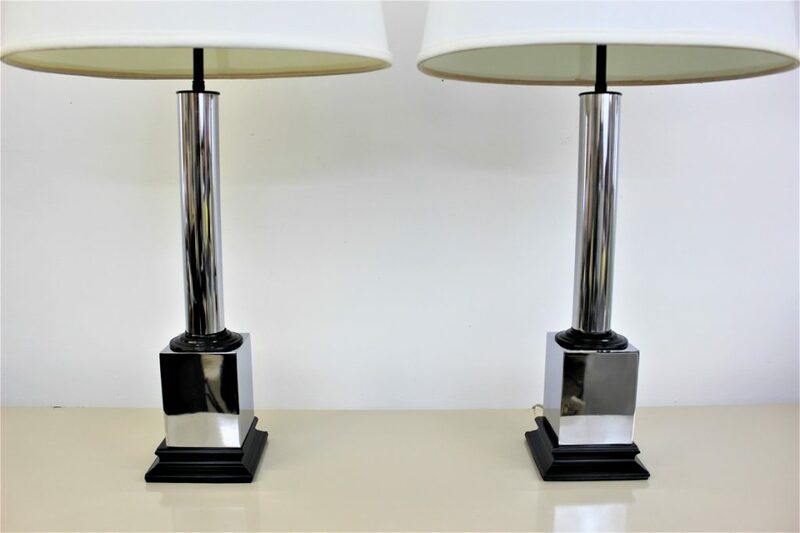 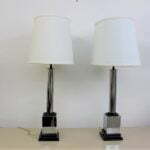 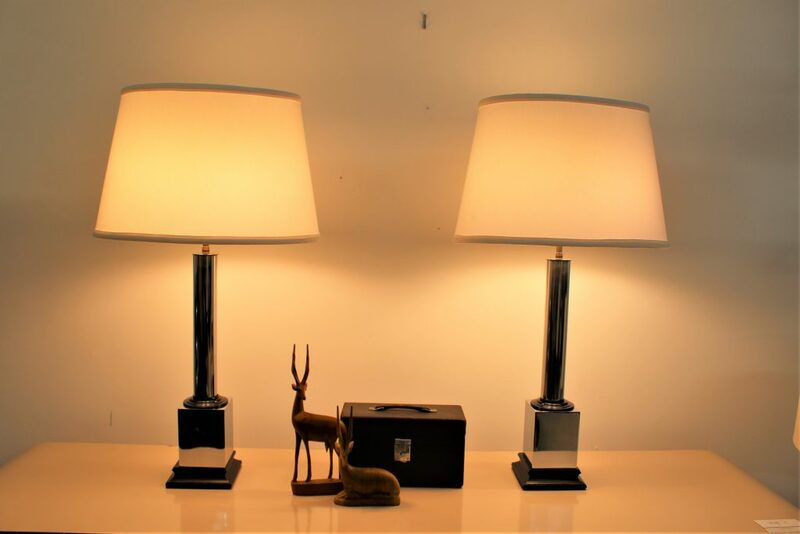 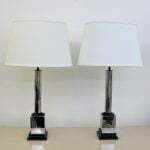 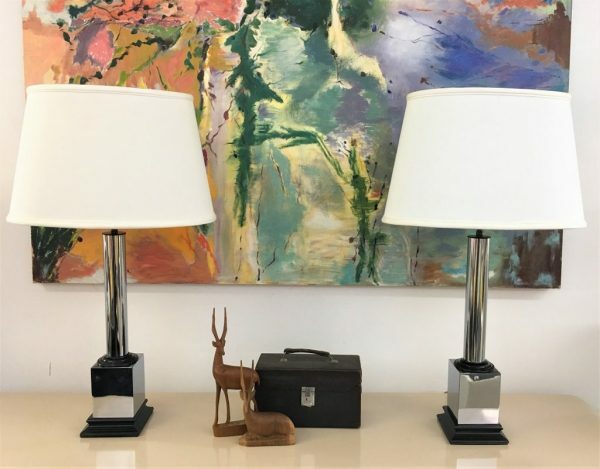 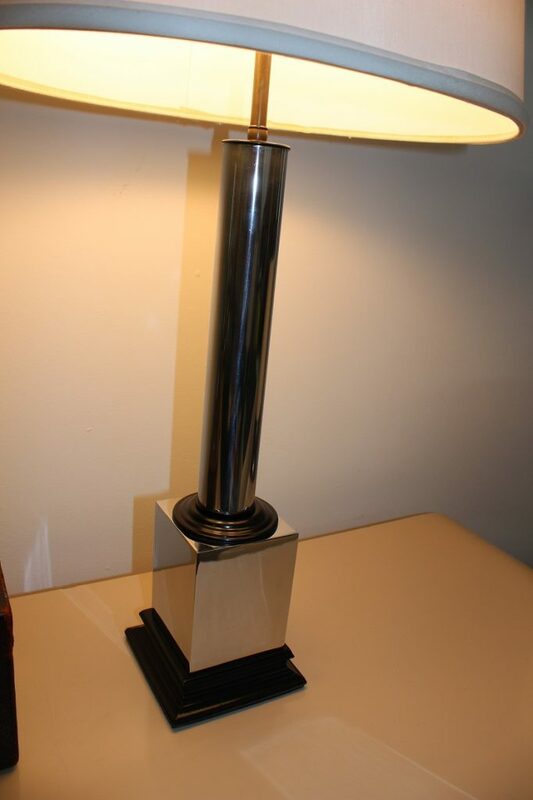 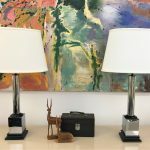 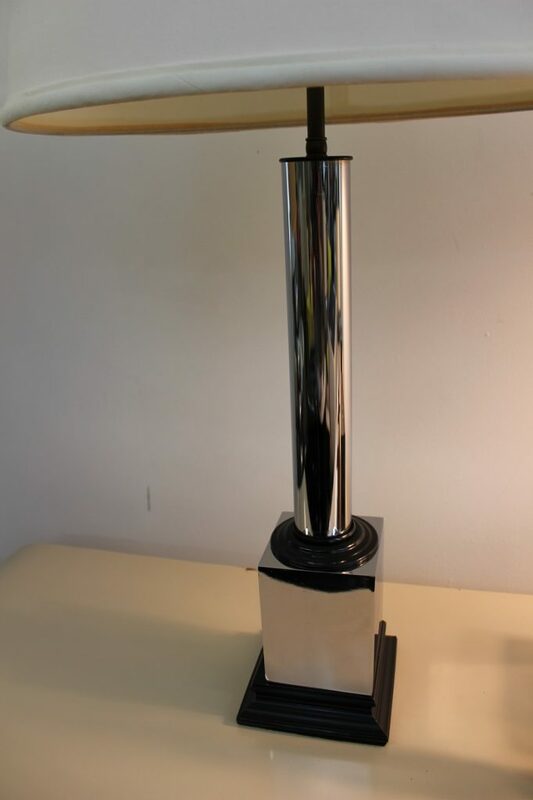 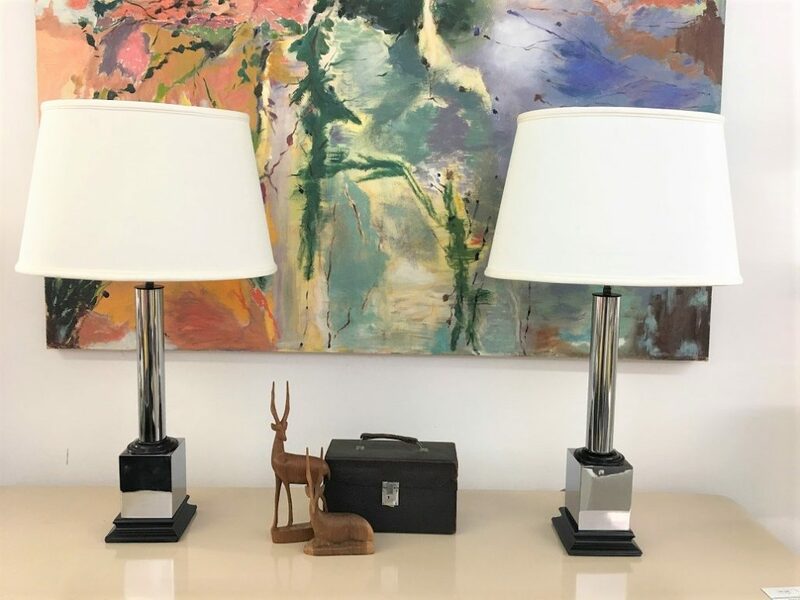 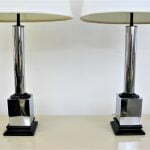 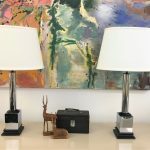 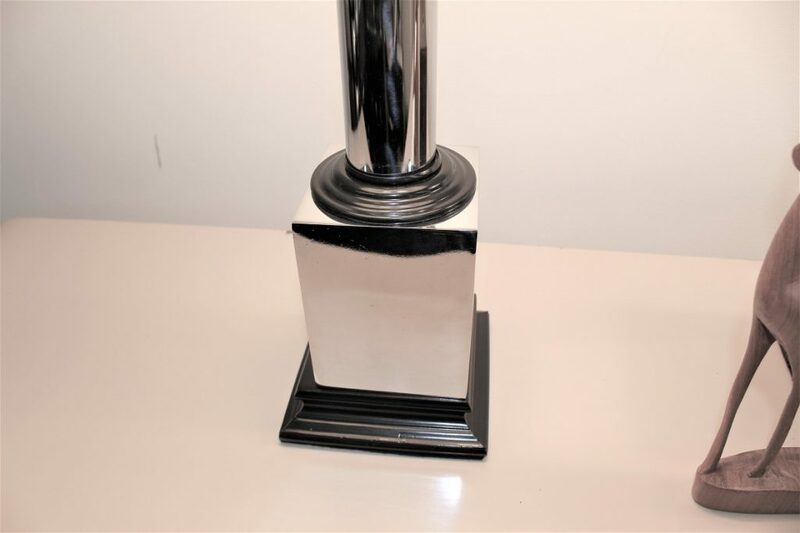 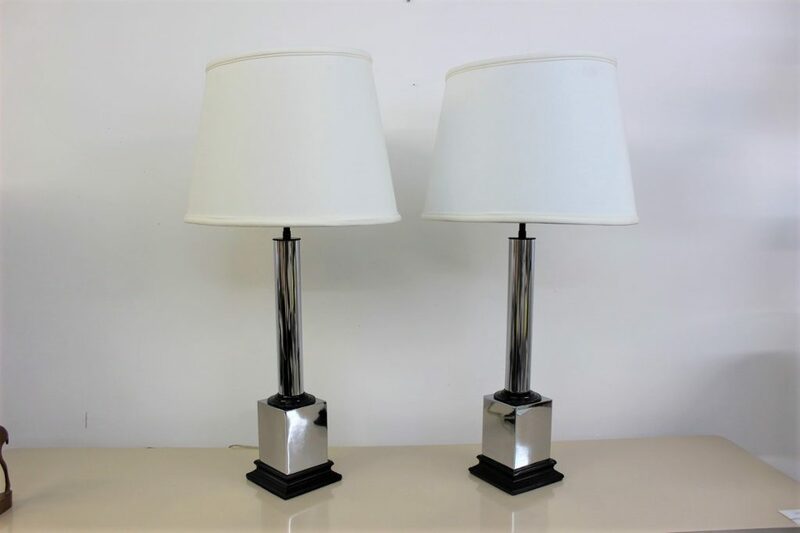 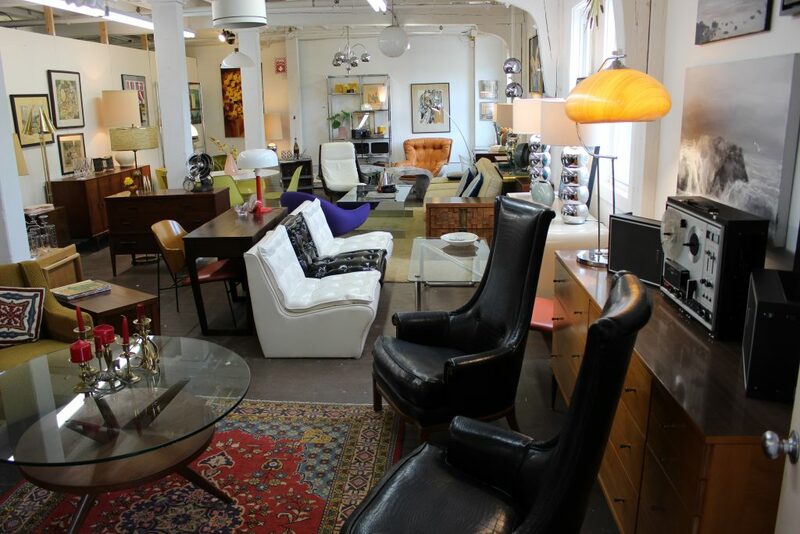 Take a look at this beautiful chrome and black pedestal lamps. 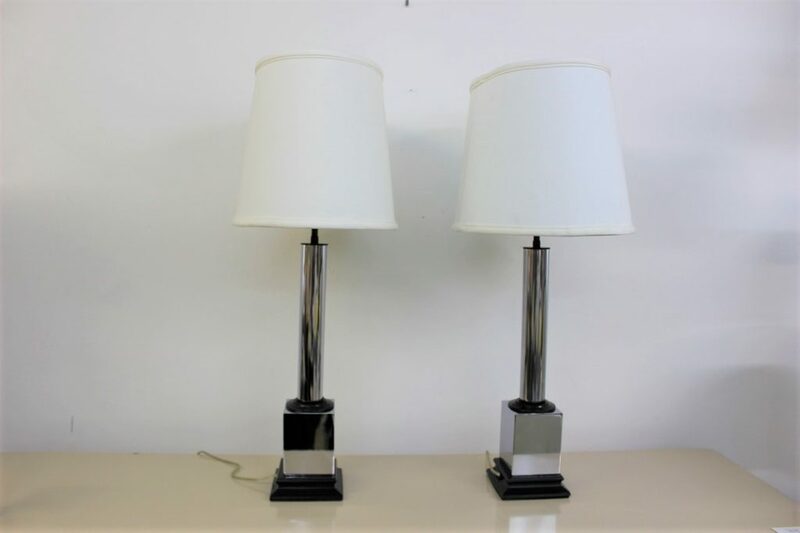 They are very shiny and they have very little wear. 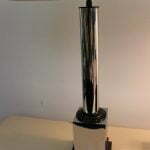 The black accents where originally brass color, they were already painted black when they came to me so I just touched it up in a couple of spots that were peeling off. 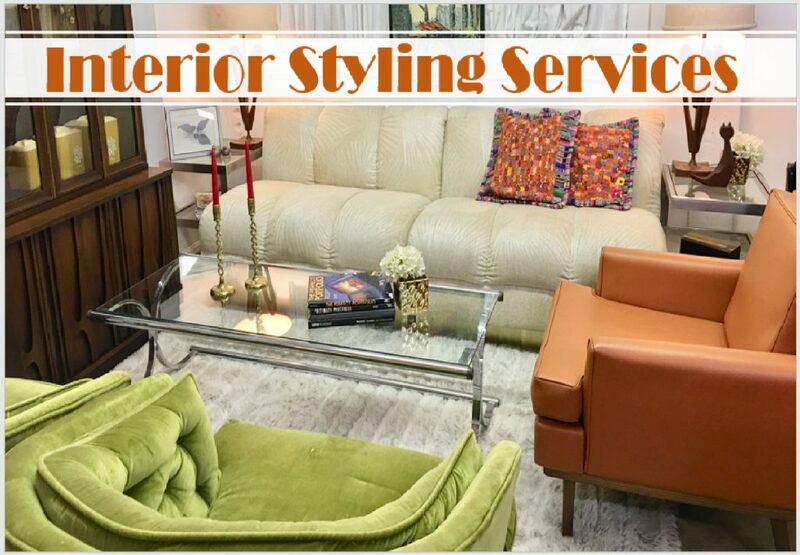 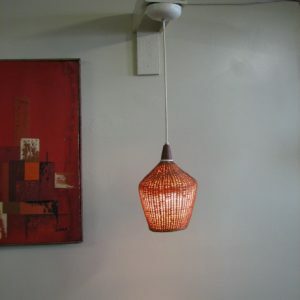 They look great anywhere for which fitting them into any room won’t be a problem. 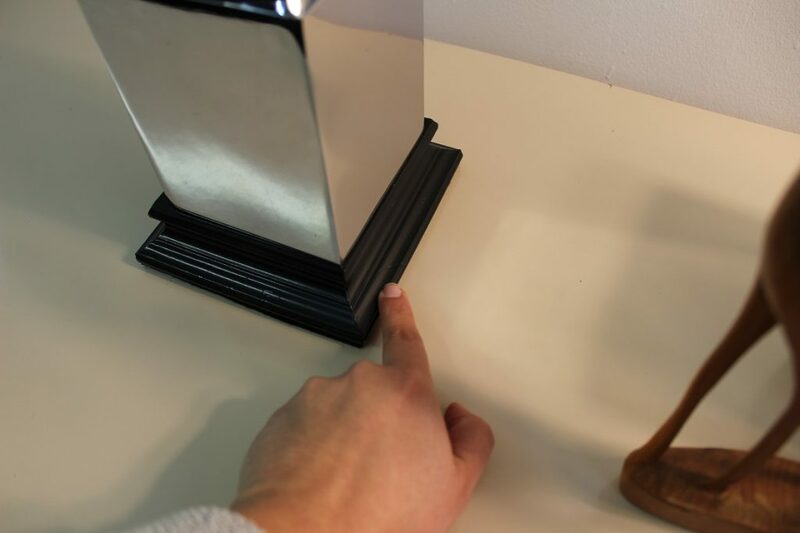 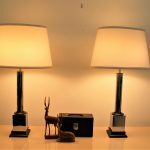 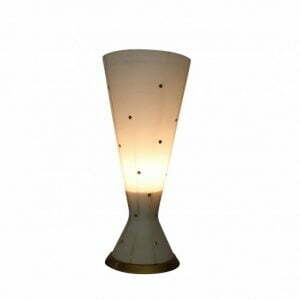 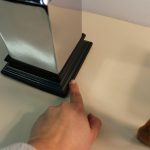 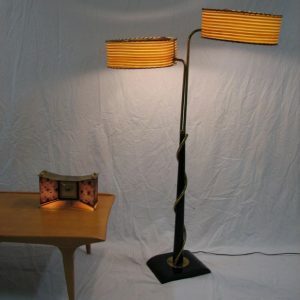 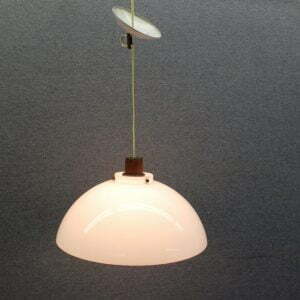 They measure 32″ tall by 6″ at the base, the shade is 17″ by 12″.